Like Superman, Taking IT Mobile Data Solutions is here to save the day! We had a massive RAID failure and called T.I.M and a representative came to our office that day and took the RAID for diagnostic. They quickly found the problem and successfully extracted all our important data. 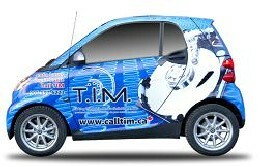 Fast, professional and courteous i wouldn't hesitate to call T.I.M again for all our data solutions. And with a no payment guarantee if all your data is not recovered, how can you go wrong? Seriously if your drives fail, call T.I.M. I know who I'll be calling the next time I need help recovering data 🙂 and will surely recommend you to everyone. Thank you! Best news of the new year!! I'm extremely happy with the work and communication with you. Thanks again these pics/videos were irreplaceable! I just wanted to say thank you so much for retrieving the majority of my files. It’s been a stressful two weeks since my computer died. I have two presentations with VPs for my account in 2 weeks that I have been working on for 6 months. I can’t express how relieved I feel since I heard the good news!! I am incredibly outspoken, and will definitely take every chance I get to pass out your information (and your cards)! Thank you again! Awesome! Thanks!! - great news. I was not too freaked out about this one, as I had most of it backed up, but still a relief! I've used Taking IT Mobile several times, and I'm so glad I found them! When my Mac's Western Digital hard drive failed at work, many years of old files were feared lost (backups were an issue). Thankfully, Taking IT Mobile were able to recover the valuable files in a fast, courteous and efficient way. More recently, I contacted them to recover some precious photos from a personal WD hard drive. Not only did they assist after hours in treacherous weather, they were very quickly able to recover the photos and return the recovery promptly. They are dependable, efficient and really go above and beyond! Thank you Taking IT Mobile! I had called Data Recovery because I needed to recovery video files from a recording device for work. The device was picked up within a half hour! Less than 24 hours later I have my video back! I have never received this high level of customer service. EVER! I'm still in awe of what they did in such little time. I will definately be using them if the situation presents itself again! Thank you so much for the fast and great service! The T.I.M. group were a delight to deal with. Not only did they recover all my data from my Linux RAID system, but they spent extra time communicating with me and looking into some possible other data that I could not access myself. These guys could have said they had done their job but they insisted on assisting me further and till I was fully satisfied. I would recommend their services to anyone as they are extremely bright and professional team and I am very thankful that I found them .. a fast, friendly, and service-oriented group. As a senior, I find I rely on my computer more and more to keep in touch with friends, to preserve precious memories in photos and to organize personal and household data. It never occurred to me that it could all disappear forever in a one second hardware crash. Several computer experts attempted to retrieve my data on my OCZ SSD drive, before informing me that for my particular rare type of hardware failure there was no hope of retrieval. I was devastated! Thank goodness someone recommended that I try Taking It Mobile Data Recovery. Within a few days they worked their magic and all of my data was returned to me intact...from the pictures of my son's wedding to the knitting pattern I have spent months writing. I will be forever grateful for their skill and expertise in the area of data recovery. Next step - learn to backup files on an external drive. Thanks to Taking It Mobile Data Recovery, my computer journey continues!!! This company was amazingly quick to respond to my data loss emergency. I had a mechanical breakdown with my external Western Digital hard drive with about 6 months of work that I had not backed up because I was side-tracked with a personal injury. I contacted several companies and none responded as quickly nor offered the benefits that Taking It Mobile Data Recovery did. I really appreciated the fact that when you deal with this company, you can speak to a person who can answer all of your questions during the process. One of the partners arrived at my school to pick up my drive the next morning and within a few days I had all of my data back in the same folders. I have already told my story to some of my colleagues and they were quite impressed. These guys are life savers and I would use them again in a heart beat! They are data rescue heroes with a personal touch! My experience with Taking IT Mobile was fantastic. The service was perfect. My fiancé thought she had lost all of her data from her phone including many precious photos. I fortunately found this great company. I loved that it was very quick, from the time I called, to the time I had a perfectly operating phone back in my hands. It was amazing! The drive holding the recovery arrived this morning. Thanks very much for the quick turnaround and the wonderful service. The TIM Online Case Tracking allowed me to review the progress your technicians were making on the project, which was great comfort. Most importantly, they were able to recover all the files on my NAS RAID device, after the array failed. I am very impressed and recommend TIM to anyone I encounter who is unfortunate enough to lose important data. If there is any situation requiring recovery of data from failed drives (external or internal), I highly recommend the T.I.M. Data Recovery team. TIM Data Recovery was quick in recovering our data on our Western Digital robot controller drive, and getting our assembly plant running. Our company did everything by the book to back up and protect our data, or so we thought. Then reality hit. The backup would not reinstall. We took our HP to a “techie” company that kept everything for a week and then advised that they were unable to solve the problem…" T.I.M. was successful in recovering all of the documents and information that we needed, as well as resurrecting links to the MANY websites that we use for research, that had taken several years to accumulate. Turnaround time was great, the successful recovery of our data was incredible, particularly since we had given up hope; and your attitude, service, and attention was beyond reproach. I would like to express my appreciation for the excellent customer service and data recovery support provided by you and your staff. My Maxtor hard drive crashed and it had lot of important files that were not backed up for a while. I was worried that we wouldn’t get our data back. But you guys did an excellent job in recovering all of our data. The entire process, from to start to finish, was very smooth, very professional and it was done for a very reasonable price. Throughout the process, I was kept in the loop on what is going to be done, how the data will be recovered and when it is going to be completed. All my e-mails and questions were responded to very quickly. The overall service was very good and it exceeded my expectations. In the future, if I have similar problem I will definitely use your company again and I will definitely recommend you to others. I had just finished making breakfast for the family, when I decided to head to the office and chat on Facebook. I attempted to turn my computer on, but all I saw was a heartbreaking black screen. Thoughts immediately ran through my mind. 'Oh my god, the wife is going to kill me', and, 'I hope I didn’t lose all my vacation, wedding and most important my daughter's baby pictures'. I took the Maxtor drive to a local store. Although they were unable to recover most of the data, they still charged me for what they did get. And they further complicated the possibility of someone else getting a recovery, by breaking the seals on the drive. Taking IT Mobile provided a service for which no price tag can be attached, for the memories recovered in those pictures. Who could put a price on 15 years worth of pictures, and me holding my newborn daughter for the first time? On behalf of my family and me, I’d like to wish you all the best with your company. Lost my new born daughters pictures and videos when my hard drive crashed. These guys got it back and I tried two other services that couldn't. Great Service! I got a quote on what it would take to fix my Western Digital drive in the very same day I dropped the WD drive off. After a few short days I had all my personal data back in my hands. The recovery was a complete success. The entire process, from progress on the data recovery to what the expected costs would be, was entirely transparent to me. There were no surprises during or after the recovery was completed. I was extremely satisfied with the professionalism and quality of the work of Taking IT Mobile and would highly recommend them to anyone. Many thanks! The team at taking it mobile was recommended to me when I lost all the pictures I have taken over the past 10 years due to an external hard drive that failed. I was so sad when my local pc recovery shop was unable to recover my files. They sent it out to taking it mobile and they recovered all of my files. I was so grateful that they are so good at what they do, and I am happy I found them!!! I was doubtful when my MacBook pro was not responding and I was in panic mode. I was recommended by mac to a company who did data recovery who I thought were a over the top in my opinion. Moving along though, I came across T.I.M., and my problems were solved! With helpful and polite staff, they offered to pick up my drive, asses it, and return it back if they were not able to get things working to my liking. They got back to me within hours explaining the options I had and I mean, I felt better already. They recovered everything and delivered my drive as well. I call that top quality service right there. I would definitely go back if I have an issue with my drive or laptop in that matter. I would definitely recommend for all! Recently, I had the misfortune of requiring a data recovery service as my hard drive became corrupt, as well as the raid backup. I decided to search the internet to see if there was a recovery option and I found Taking IT Mobile Data Recovery. From my initial call to the final day when my drives were returned to me, they were one of the most professional and caring companies I have ever dealt with. They were very clear on what they could and might not be able to do, they did not make any false promises and delivered on everything that they said they could. It only took a couple days, but they were able to recover all of my data successfully. The price was very reasonable, and worth every penny. A huge thank you to the folks at Taking IT Mobile Data Recovery. I hope I never need your services again, but you will be undoubtedly the ONLY place I will ever call! My MacBook Air just conked out on me one day, and I didn't know what to do. I took it to Apple and they told me my internal hard drive had failed and shut down, and that I would have to re-boot my laptop, but I would lose all my data in the process. After a lot of research on the internet I found Taking IT Mobile, and they were so helpful! I emailed them and within an hour or so they called me to find out more about my problem. They quickly got it going, and completed the work. It took about a week for everything, and I got everything I needed off my internal hard drive. I would definitely recommend them if anyone was having problems with their computers/laptops and needed data retrieved! And while I hope I never have to use them again, I would if my laptop failed on me again. The guys at Taking IT Mobile Data Recovery saved us! After my own mistake of only backing up my files to one external Western Digital hard drive, we had a power surge one day and it fried all my files and all my family pictures from the last ten years. I was devastated, unable to think of the next step to get them back. I took my WD Hard drive to a local, trusted computer shop. When they attempted, and said it was beyond their means, they recommended Taking IT Mobile and promptly sent the hard drive to them. Within days the team at Taking IT Mobile had not only rebuilt my hard drive from scratch, had also recovered ALL my files, and most importantly ALL my family pictures. I couldn't be more happy and impressed with their service. Thank you Taking IT Mobile for helping preserve my family memories. Worth every penny! Awesome service! Thank you so much for recovering my Kingston SSD laptop hard drive. Went to a few places and said that it was not guaranteed recoverable and the cost was in the thousand. Luckily I came across T.I.M and to hear that it was recoverable within an affordable price. Got data return in 3 days was amazing. Excellent customer service and communication between the agent and tech support. Definitely recommend. I would like to tell you my experience with Taking It Mobile Data Recovery. The team of professionals that I was given the opportunity to work with was amazing. I was in distress. I had been told by another computer expert that my Seagate hard drive had seized and that everything on the computer would be lost. You can imagine my distress! I had realized I had all my photos of all my children on that Seagate hard drive, so I was completely upset, as I thought I had lost all of those precious memories of photos of each of my kids.The T.I.M. team was able to recover all my photos and they took the time to walk me through the process of how to go through the data. They took the time on more than one occasion to help me to create files, and explain computer techniques that I was not aware of .Their professionalism and their kindheartedness in being able to call me back at a more convenient time was such a blessing. Therefore now I have all my photos of all my children and I have peace of mind knowing that there is a company that is able to retrieve data that is lost. This is a great asset in the world of upcoming technology, and I will definitely recommend Taking IT Mobile data recovery to all my friends and family. The world of technology is only going to get more advanced and their services are greatly valued. Without their professionalism and their knowledge, I would have been lost, and all my memories in my photos of my children would have been gone. I greatly appreciat all the hard work and effort and communication that they were able to provide in a most positive productive and respectful manner. Thank you! The TIM Data Recovery staff were very helpful with retrieving my data for me, from my Samsung external drive. They were honest and genuine about all potential outcomes. They assured me they would be doing their best and apply their 16 years of data recovery experience to my case. Sure enough, they got my data back and in a timely fashion. Great service! Thanks, Taking IT Mobile! Data recovery is quite expensive so it is not for everyone, I only suggest it for people who are very desperate. I lost several drives over the years and I chose to recover an old Western Digital backup with some extra photos and work I never got a chance to duplicate. I am very happy with Taking IT Mobile, they got back to me quickly with a more reasonable quote but also explained the process much better than two other places I contacted. They were very helpful and curtious and I am planning to recover one more hard drive with them. I worked with Taking It Mobile twice, as based on a recommendation from a Mac repair service. I had 2 hard drives that required recovery. The Taking IT Mobile team members are all incredibly thoughtful and considerate. They recovered my drives (both! ), their customer service was pleasantly friendly and hands-on (they came to pick up and drop off my drives), and I have already - and will - sincerely recommend them to anyone looking for data recovery or hard drive recovery in Toronto. Genuinely, there is not a single bit of my experience with this company that I would want to change or could improve. My Western Digital Hard drive suffered significant damage. It was a high-risk case. The T.I.M. team quickly gave us options and kept in touch with us every step of the way. Their quote was fair and reasonable, and they worked with us to find the best solution for the best price. Their service is based around "you don't pay unless we succeed," and they work with you to determine what are the parameters of "success" as you would have them define it. It was a high risk job with no guaranteed results...and TIM Mobile Data Recovery succeeded! They recovered 100% of my data. Amazing service, even better results! We were thrilled with the service and results from TIM Mobile Data Recovery. They saved my life! I lost some work related data on my Samsung SSD drive (Toshiba notebook), and they retrieved it for me. Also pricing is very reasonable. I am very satisfied with their service and highly recommended. My heart sunk when my computer and my back up Seagate drive both failed from an electrical storm. My complete backup for quickbooks and my business information was lost. As soon as I spoke to Taking It Mobile Data Recovery I felt that there was a chance to get some of my data back. Their quick response to get the drive analysis going, and then a quick report .. that is service! Once the problem was diagnosed a quote was given for the solution which included a new back up drive with all of my recovered data on it. When you lose this kind of information the first thought is you would pay anything to get it back but I was very surprised at the final cost and particularly the turn around time for completion. Excellent service and very friendly staff talked me through the whole experience with a great result. It doesn’t get any better! Great Canadian company to deal with if you require data recovery. Free shipping there and back. Great communication throughout the process. Recovered a huge amount of our data. So very happy we went with TIM. Love dealing with this company - prompt response, fast service and great success rate. Friendly and a pleasure to deal with, their service is exceptional and very professional. A lifesaver for our customers. Would recommend them every time. This is to confirm that we have a good recovery. Pass along thanks to your team for a great job!!! I'd like to thank you for your efforts on recovering my data and the convenience you provided!!!! It was a pleasure and painless!! I'd be sure to recommend you should the opportunity arise!!!! Taking IT Mobile turned around a dire situation for me earlier this year when I thought I'd lost a considerable amount of data that I hadn't backed up. They not only salvaged the data through a delicate 'head transplant' operation on my old hard drive, but also delivered the saved data directly to my front door, all within a couple of days. They are life savers! Excellent and highly professional service across the board. Being a professional Wedding photographer, I was bound to lose data eventually. Low and behold it happened one day. One of my friends recommended this company. After experiencing such a fast and friendly service, I was able to get my compact flash card completely recovered. Highly Recommend them!! Service was Excellent. Quick and prompt attention to problems at hand. Very professional and polite. Honest in regards to what issues could be resolved. High Technical abilities. Definitely will use their services again if need be. Definitely would recommend them to any one in my industry. Taking IT Mobile provided me with exceptional service on my dead Seagate hard drive, and I would recommend them to anyone in need of data recovery. The fast turn around and professional service is what stands out. I have dealt with the old company and now Taking IT Mobile and still received top notch service. Kept in communication the whole time the recovery was in process. Will definitely use again as my only choice for data recovery in Toronto although they do offer their services in North America. Excellent, highly recommended! Very fast & professional service. It was extremely convenient, in getting the recovery attempt going on my dead Toshiba SSD drive, and then getting it back. They also don't charge you until they find out if they can recover your data. I was on a deadline and they recovered all my data very quickly so I was able to make that deadline. Great service! When I thought all was lost, pictures, documents, EVERYTHING, the T.I.M. team managed to recover my entire Western Digital hard drive. They helped me out quickly and made me feel better from the moment we met. I cannot say enough great things about Taking IT Mobile, they saved me! Taking IT Mobile saved my life!!! I lost all my work for the past 5 years and they were able to recover it, when all other efforts failed. I would recommend this company 200%. Look for them ... they are very caring, professional and wonderful to deal with. The most reliable company, that gets the job done. Very efficient and Trustworthy. All an amazing experience. I feel so fortunate to have contacted Taking IT Mobile Data Recovery, after my daughter's Mac Hitachi hard drive crashed and she had not backed up her computer in 3 months. Within 1 hour of speaking to them, they picked up my computer and I had a diagnosis within a few hours. They kept me posted on the challenges faced, and by the end of the next day, my daughter's computer was returned and all data was put on the external hard drive. They understood the importance for my daughter to get her data back asap to work on school projects that were due.The job was fairly priced and the service was much faster than any other company quoted (others quoted 4 - 7 days). They are knowledgeable, very accommodating, and trustworthy. I highly recommend Taking IT Mobile Data Recovery. Excellent service! I would just like to say that the experience I had with Taking IT Mobile has been AMAZING!! From beginning to end, their service was impeccable and I was so very impressed by the professionalism I experience and also the prompt replies to my queries and concerns. As a photographer, having a hard drive die, in this case my Western Digital external drive, is one of THE most dreaded things that can ever happen! I was so relieved to find a company that not only took on board my concerns but dealt with my requests in such a pleasant manner. They had all my data back in my hands within just a few days. I was so impressed by their service that I would be more than happy to recommend any of my colleagues or friends to them in the future! Thanks again Taking IT Mobile team...you have a new loyal customer in me and I thank you all so much for your speedy and professional service! Taking it Mobile recovered my data and my sanity! One of my worst nightmares is losing the entire contents of my hand held device. Unfortunately my back up and my primary storage devices failed me at virtually the same time. I was left completely heartbroken and missing 3 whole years of mine and my daughter's life. Then I found Taking it Mobile online. Not only did a friendly and knowledgeable gentleman answer the phone (AFTER HOURS!!!) but I was also able to arrange next day service and I was kept updated at all times. Taking it Mobile was able to recover not only my precious memories but even some items that had been loooong deleted! I am so glad my first call was to Taking it Mobile and I highly recommend their services to everyone! We were extremely impressed (and relieved!) with the quality, speed and level of communication provided with regards to the data recovery on our client’s Toshiba external hard drive. We are very thankful we found you. Keep up the great work!!! Have used the company twice in the past year....the latest one, an OCZ SSD drive .. fantastic service. Service received was great. They also hand delivered all items after recovery. All information personal and business were recovered and quickly from my dead Seagate hard drive. I will use them again if ever needed and would recommend to anybody to use them. It was worth every penny. I found Taking IT on the internet after having platter damage on my Western Digital hard drive. They picked up my WD hard drive and worked on it and were able to recover my files that were very important in 2 days. Without these files I would have had to spend days of trying to reenter my tax information. They then delivered the hard drive back with the data files on an external drive which I provided. Great reliable service!! Would highly recommend them if you are looking for data recovery. Another company could not do that for me! So glad a found them!